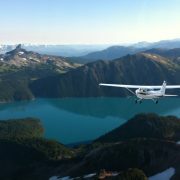 AIR – Fly high above the hilltops with Sea to Sky Air for a bird’s eye view of the incredible Coast Mountains. LAND – Head into the mountains with Copper Cayuse Outfitters and explore the backcountry with your Wrangler guide. 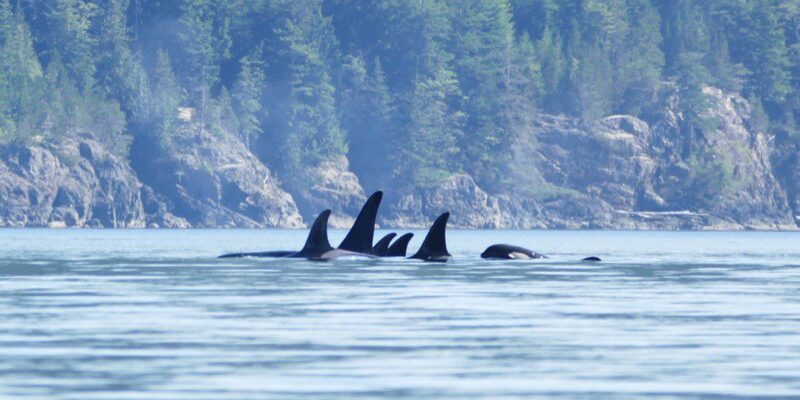 SEA – Search out Killer Whales at Wildcoast’s Orca Camp in a remote part of BC these magnificent creatures call home. 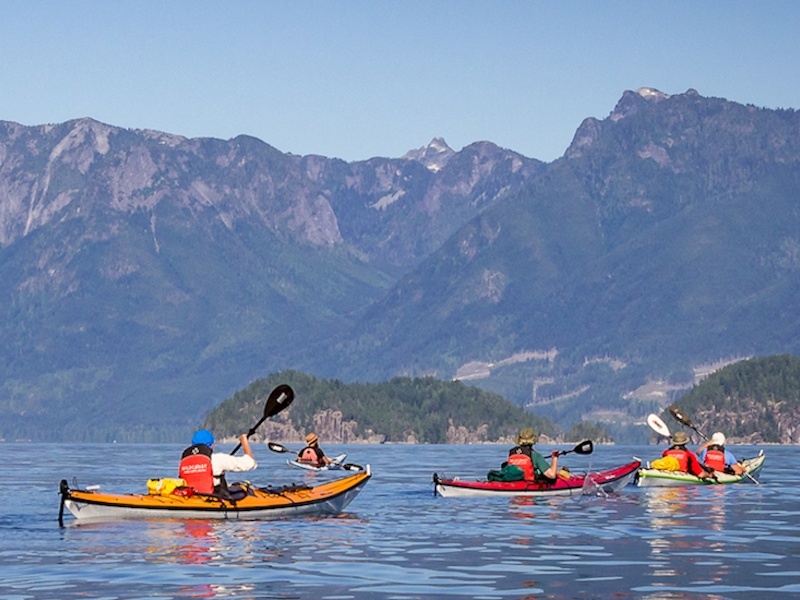 Enjoy the spectacular views as you make your way to Squamish (approx. 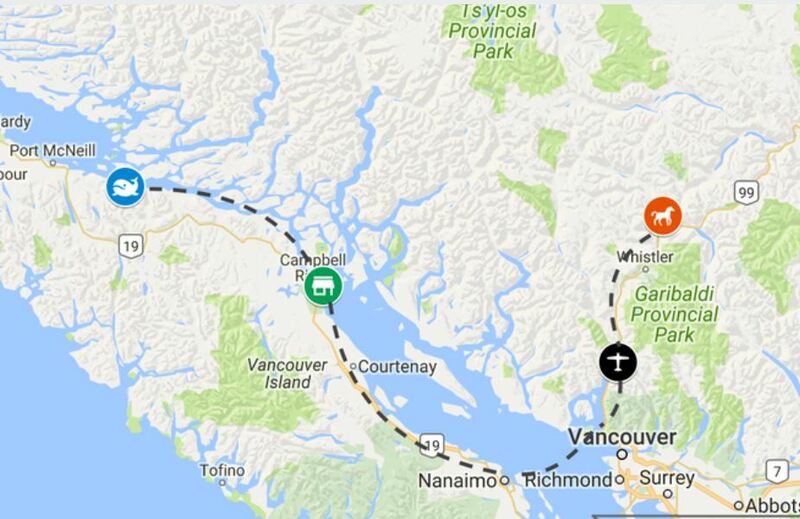 1.5 hours from Vancouver) along the Sea to Sky Highway. 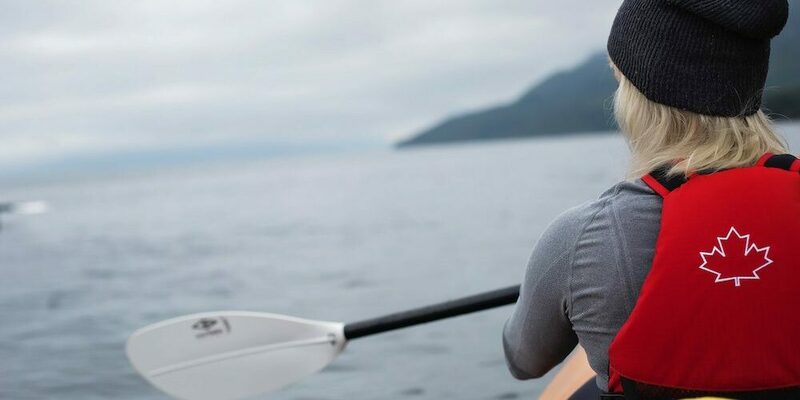 Your first adventure begins at the Squamish Airport with Sea to Sky Air. 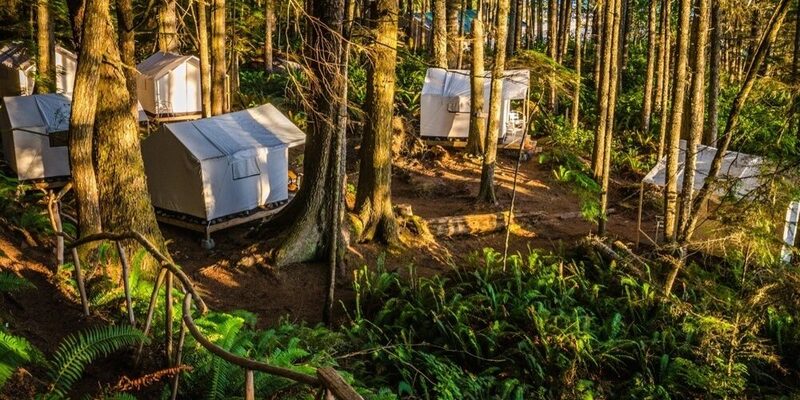 This backcountry Air Safari Adventure will have you high above Garibaldi Provincial Park. 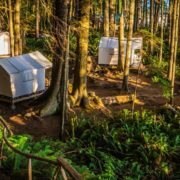 Accommodations booked at Howe Sound Inn in Squamish for your first night providing an opportunity to enjoy this adventure filled town. 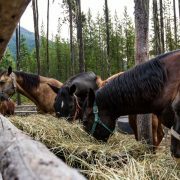 Get ready to don your riding gear as you head into the mountain trails opened by First Nations and miners hundreds of years ago. Your sure-footed gentle mountain horse will carry you to the Li-lik-hel gold mine located in the alpine (about 6000’ elevation) and back to the base camp at day’s end. After days of riding, you will have much to talk and laugh about at dinner. The best of campfire cooking will keep your belly full as you gaze at stars so close you can almost touch them. Peace and quiet provide a tranquil end to each busy day and you’ll head off to bed anticipating the next day’s adventures and your morning cup of cowboy coffee. The most unexpected gift of this remarkable experience is the bond of trust you will develop with your horse. Some guests have been known to shed a tear when they have to leave their new best friend behind at the end of their trip. After your days riding the range, it’s back down the Sea to Sky highway to Horseshoe Bay where you board the ferry to Nanaimo. 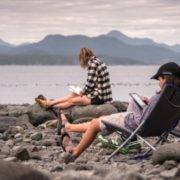 As you disembark from the ferry, your destination is Campbell River, but consider taking additional time along the old island highway in order to stop at one of the many small towns on your way up the coast. 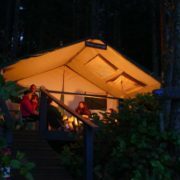 Accommodations booked at Comfort Inn in Campbell River provide the opportunity to enjoy this seaside town. 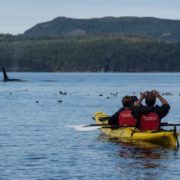 Seeing Killer Whales (Orcas) in their natural habitat is breathtaking – imagine you’ll be sea kayaking where they roam. 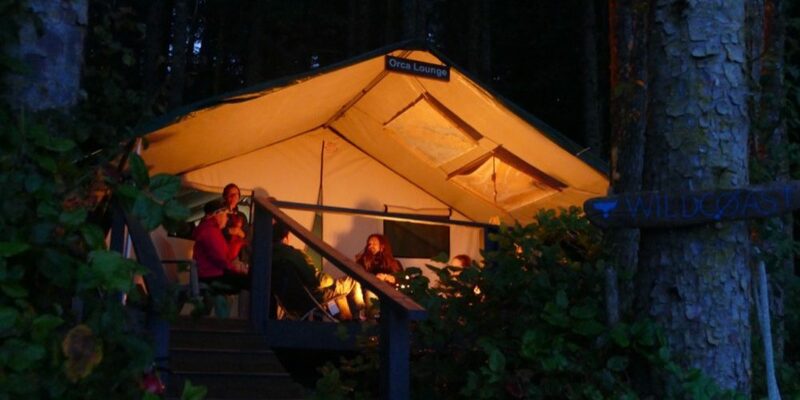 Camp is directly beside the Robson Bight Ecological Reserve in the heart of Orca territory. To minimize the ecological footprint, only small groups are hosted at this no road access location. 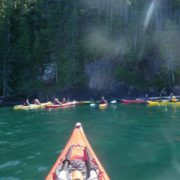 Whether you have never kayaked or you are an avid water person, your expert guides will have you making perfect paddle strokes in no time. 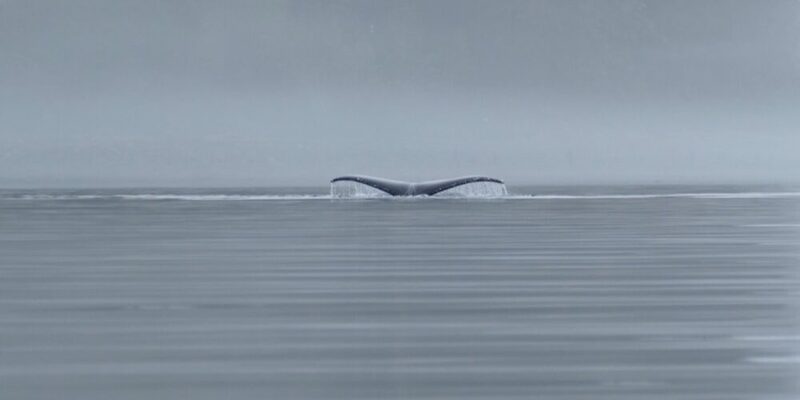 Balancing wilderness serenity with thoughtful exploration is an art. 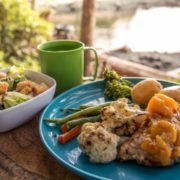 As respectful adventurers you will be comfortable, well fed, and properly outfitted. An experience that is both incredible and low impact. 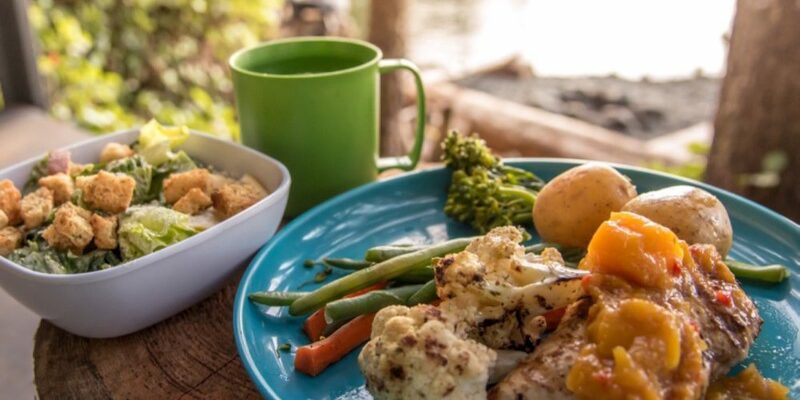 From having an on demand hot shower to sleeping peacefully in spacious safari tents, you’ll find everything at camp has been thoughtfully planned to enhance your enjoyment. 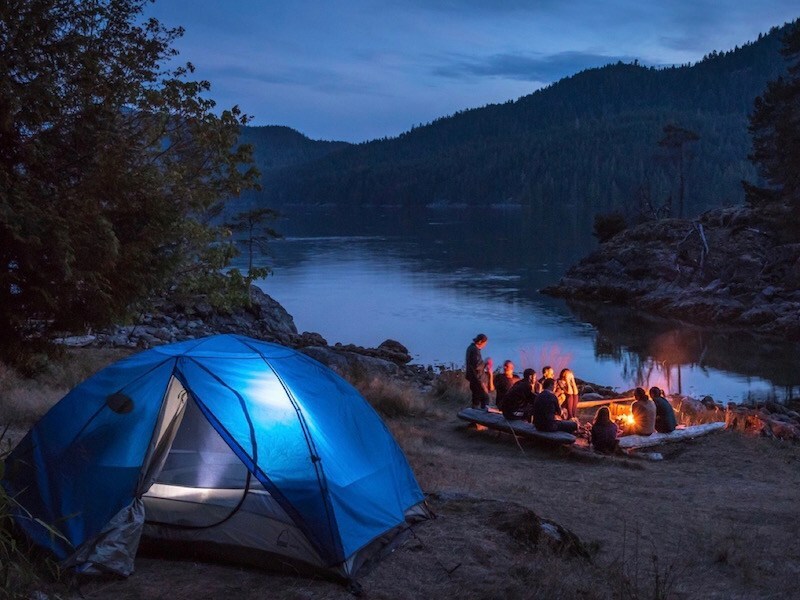 The west coast weather is never an issue when you have a heated communal tent, nightly campfires and delicious gourmet food to keep you satisfied. 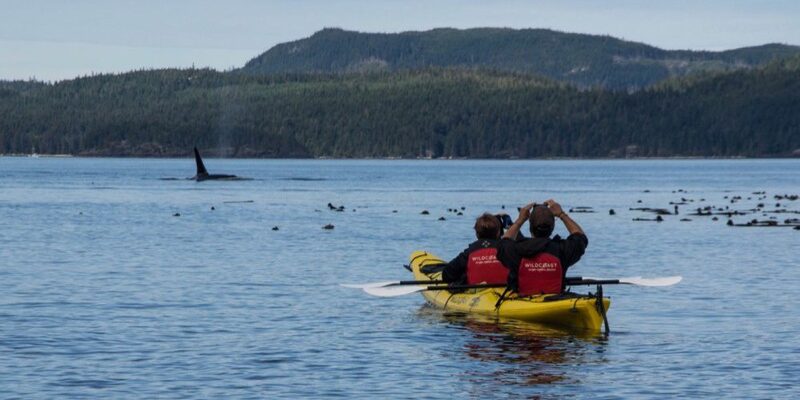 You’ll be paddling where whale encounters are frequent along the coast. 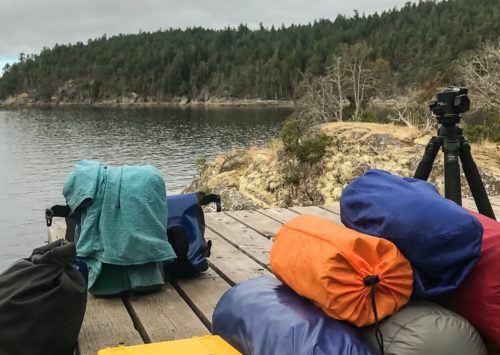 Camp is located next to the Robson Bight Ecological reserve. 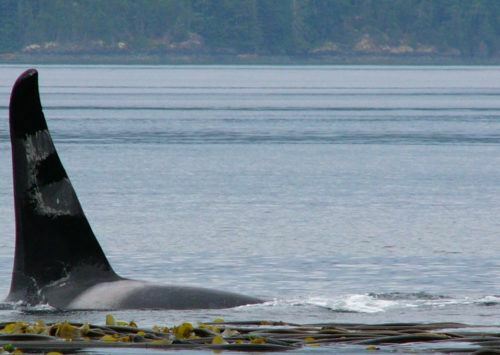 This is prime killer whale territory where orcas forage, travel, rest and socialize. 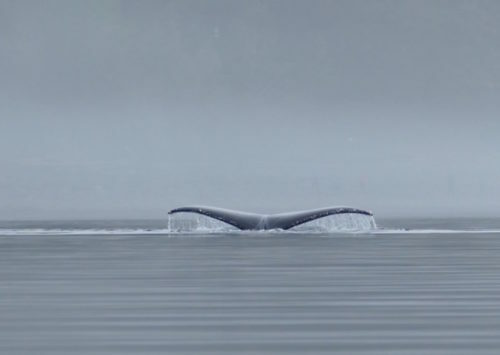 Magical sunrise paddles will have you piercing the glassy waters and listening for Orca blows beyond the mist. After dinner, sunset paddles will place you perfectly for views of the awe-inspiring hues of the sunset. 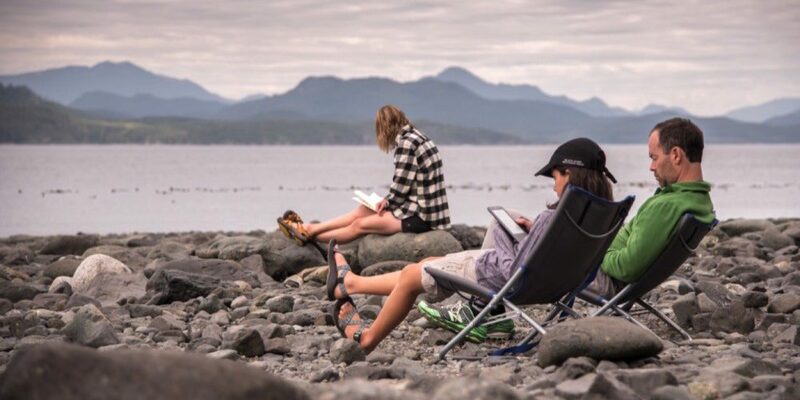 And when you are looking for a quiet day, grab a camp chair and relax on the rocky camp beach. 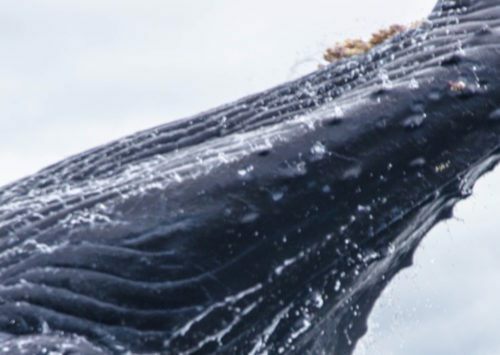 You’ll have the perfect vantage point to watch for whales that come to feed off the salmon swimming in the kelp beds just meters away. 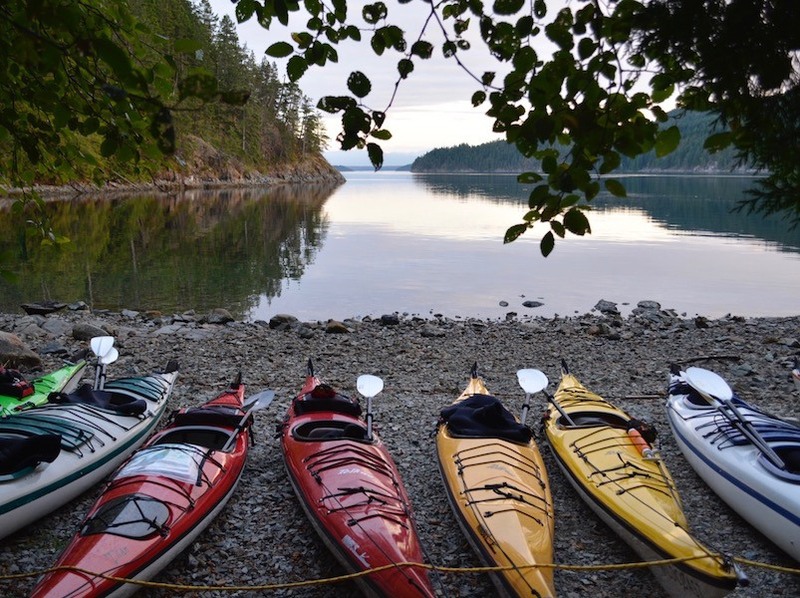 Experience it all on the BC Sea to Sky Adventure. 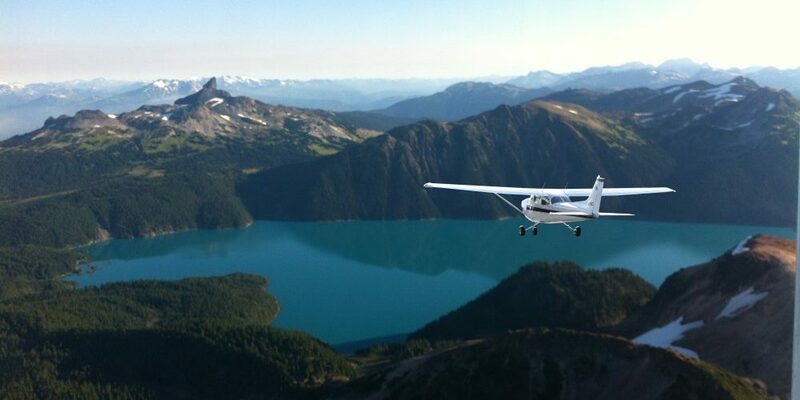 Fly high above Garibaldi Provincial Park with Sea to Sky Air. 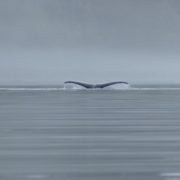 Soar like an eagle and take in the beauty below. 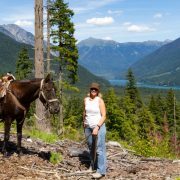 Check-in with Cooper Cayuse Outfitters for your 3 days horseback riding in the mountains north of Pemberton. 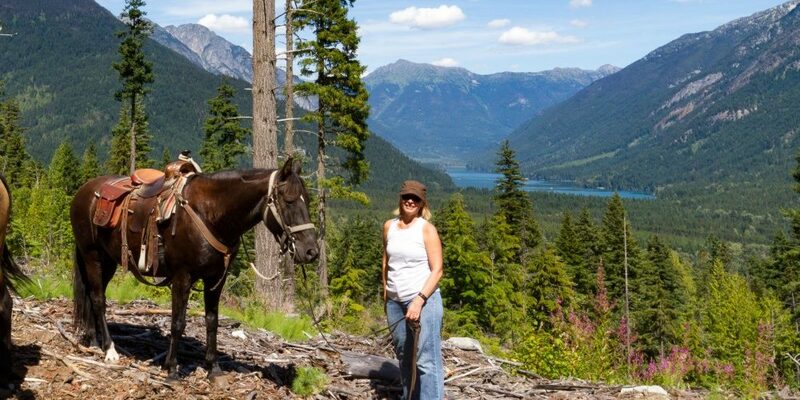 Rivers, lakes, forests, alpine meadows, old mine packhorse trails and single track await you. 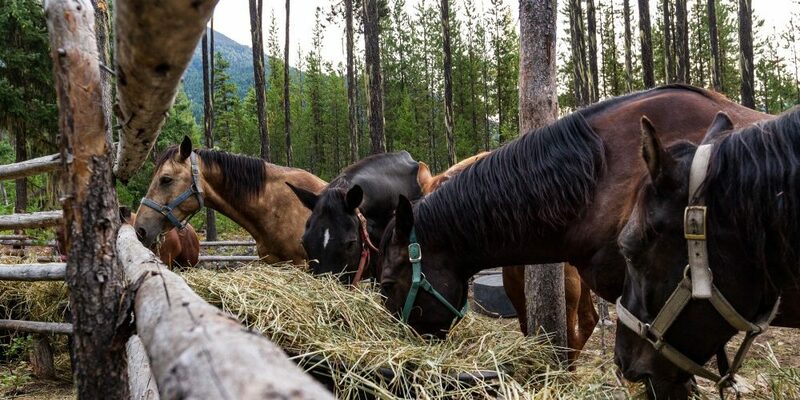 Your gentle mountain horses will carry you up to the Li-Lik-Hel mines ( about 6000’ elevation) and back to the base camp where your guides will cook tasty meals. Camp under the stars each night. 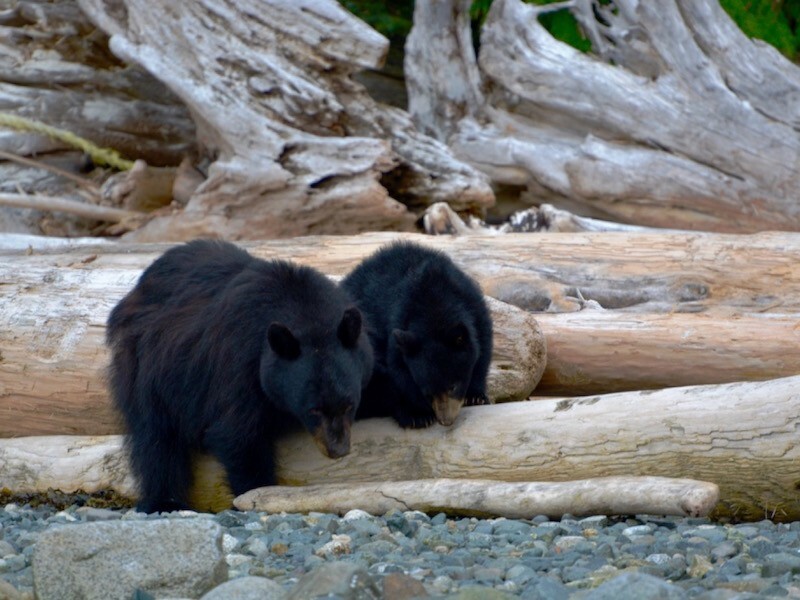 Your destination is Campbell River and you have the entire day to get there. From Squamish to Horseshoe Bay, then onto the ferry over to Nanaimo and up the Island Highway. Beaches, tourist attractions and quaint towns await exploration on your journey up the coast. 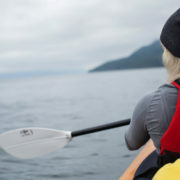 Meeting the water taxi first thing in the morning in Campbell River your expert guide and captain will brief you about your boat ride to camp. 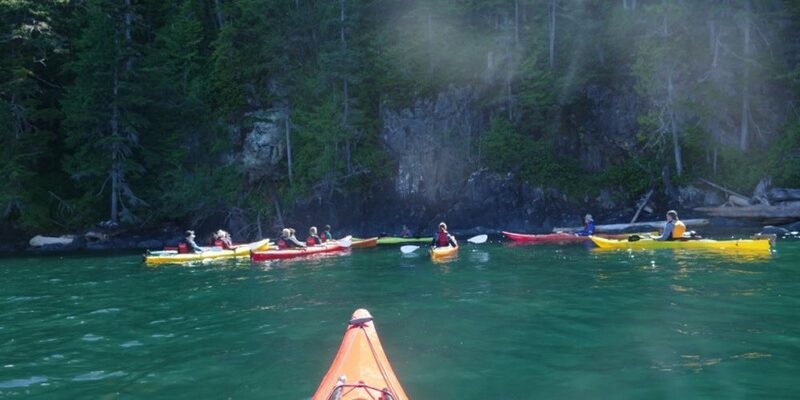 After settling into your wilderness accommodations you will begin exploring the coast in your kayak. 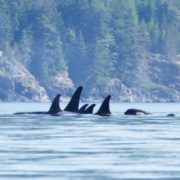 Killer whales and other marine life are frequent common in this area. On your final day you arrive back in Campbell River at approximately 3:00 pm.